On the eve of a state government report being released, the residents evicted from Opal Tower on Christmas Eve are demanding answers. Plus, the group of smooth-talking, heartless conmen targeting the elderly after storms damaged homes around the country, and former teenage tennis superstar Jelena Dokic opens up about her life. 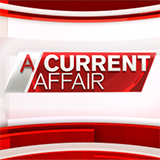 A Current Affair was broadcast on Channel 9 at Friday 11 January 2019, 21:37.